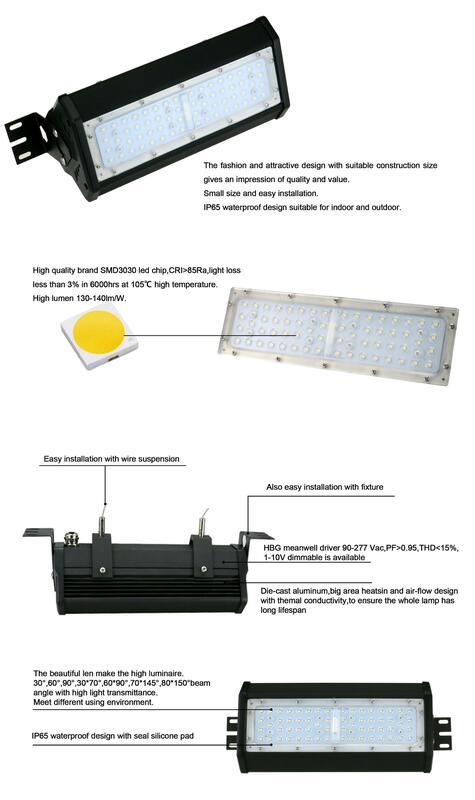 2. linear high bay 50W 100W 150W 200W. 4. Mean well driver and Edison led chip. Part No. Watt LED type Size Voltage Beam angle Lumen (LM) Color Driver IP Rate N.G. 1, Innovative design with good looking. 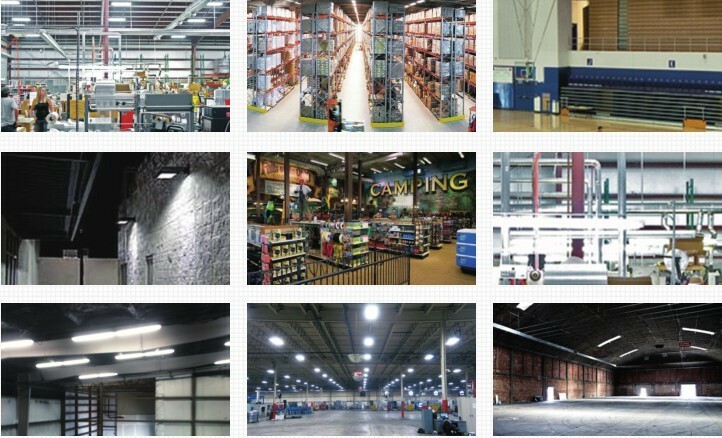 height ceiling and warehouse, Shelves and aisles have adequate illumination. 6, CRI>80Ra, PF>0.95. High performance. 7, IP65 design, suitable for indoor and outdoor. 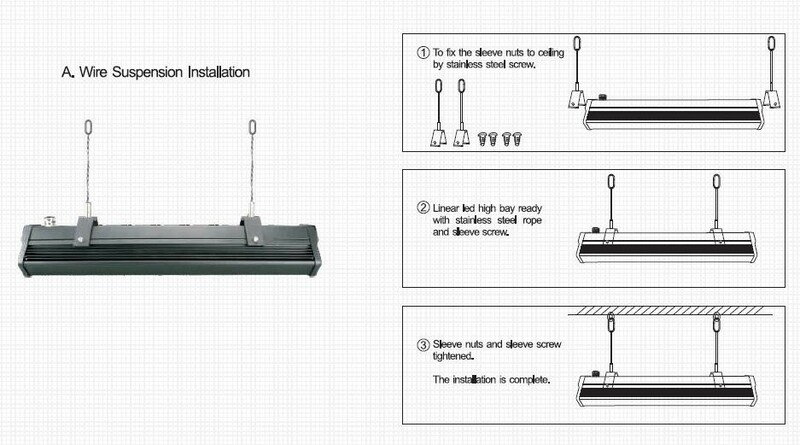 for easy installation. Adjustable ceiling mount brackets are also available as accessories.